On June 20, Auburn Mayor Bill Ham proclaimed Olympic Day in Auburn. 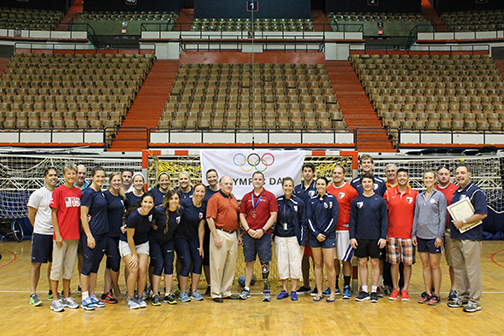 Ham greeted the Team USA team handball squads and their coaches, along with Olympian Reita Clanton and Paralympian Brian Hicks. The Kinesiology Building on Auburn’s campus was recently named as an official USOC training site. The Olympic rings will be dedicated at an afternoon ceremony Friday, September 25, the day before the Mississippi State football game.